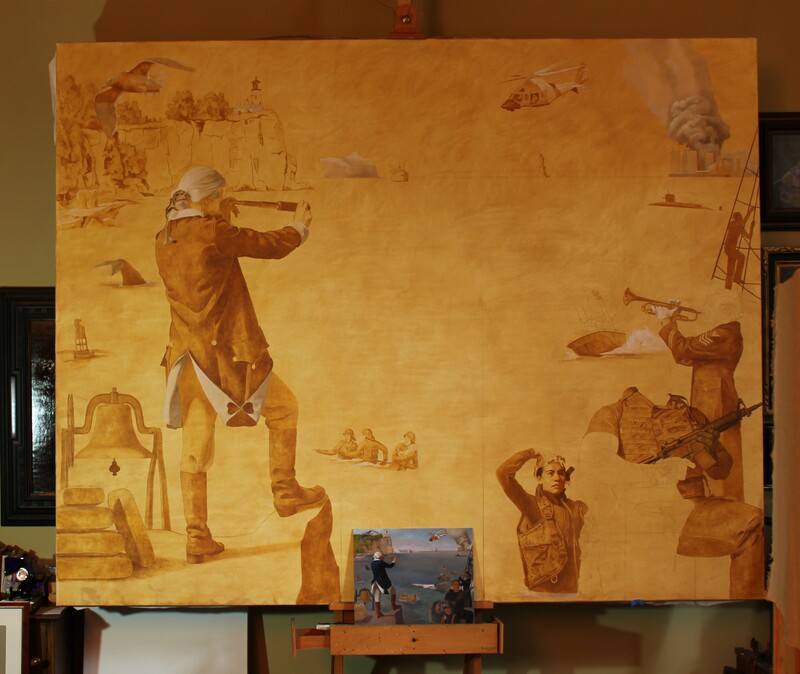 Kapsner has been working on the Coast Guard painting, which is anticipated to be on display as a “work in progress” for the Memorial Day events at the Minnesota State Veterans Cemetery May 22 -24. More to come. For now…much is beginning to show. By vetsart in Uncategorized on April 12, 2015 .